Blitzwolf have released a version of their power bank. Dubbed the Blitzwolf BW-P3, it features a respectable 10,000mAh capacity whilst adding support for Qualcomm’s Quick Charge 3.0 fast charging standard. Is it any good? Keep reading to find out. I want to say thanks to Banggood for sending me a sample to review. 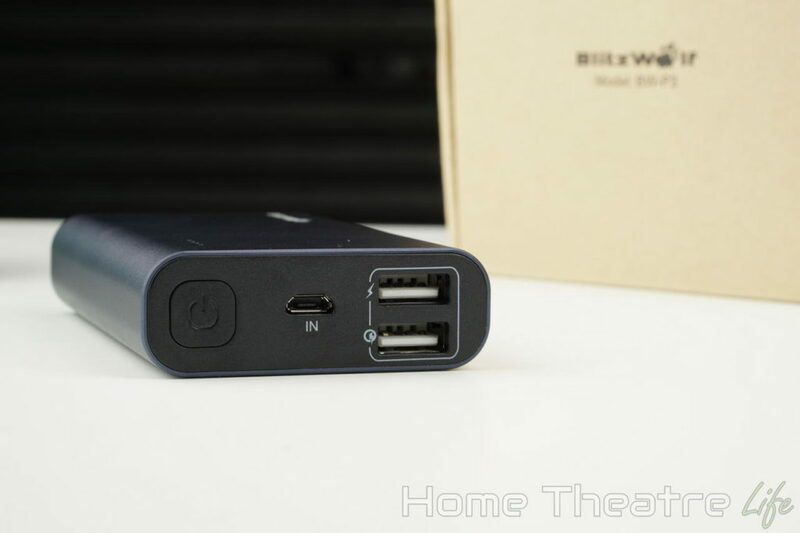 You can buy the Blitzwolf BW-P3 power bank from them below. Blitzwolf have a knack for design and it shows in the Blitzwolf BW-P3 power bank. The unit sports an elegant blue aluminium shell that should protect it from the knocks of everyday life. Coming in at 61.5x102x21.3mm, it’s also compact enough to fit into your pocket. All the ports and buttons are on the front of the unit. You’ve got a large power button, a micro USB port for charging the power bank, and two USB ports for charging devices. The top USB port can output 2.4A whilst the bottom USB port supports Qualcomm Quick Charge 3.0 (labelled with the Quick Charge logo). There’s nothing exciting on the bottom of the unit aside from some specs. However, the top has a 4 LED battery indicator that shows the unit’s battery status in 25% increments. Charging up the Power Bank is done via micro USB, taking several hours to fully charge. Unfortunately, the power bank itself doesn’t charge via Quick Charge 3.0 which is a shame. To charge up a device, simply connect it to one of the two USB ports and then press the power button to start charging. You’ll just need to make sure you plug your device into the right USB port if you’re wanting to take advantage of Quick Charge 3.0. Having to press the power button to start charging is a minor annoyance but an annoyance nevertheless. I would have much rathered the power bank automatically detect when you’ve plugged something in like Xiaomi’s excellent power banks. That said, Xiaomi’s power banks don’t support QuickCharge 3.0 so it’s a matter of which features are more important to you. I loved having dual USB ports as I was able to charge both my phones when I was out and about. 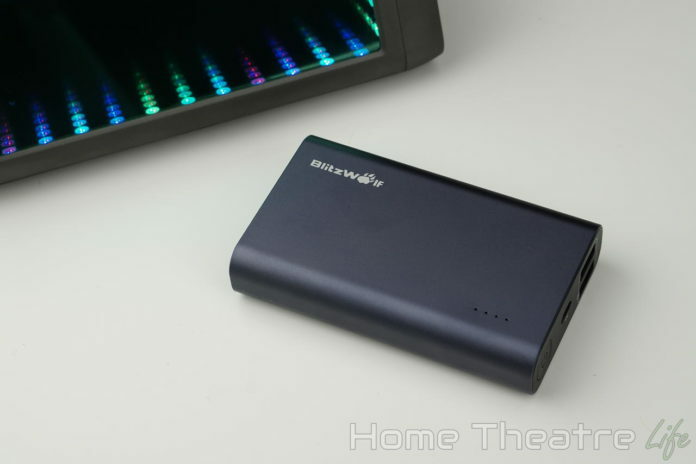 The power bank can output 18W so both devices should charge at full speed. Qualcomm’s Quick Charge works as expected. I hooked up my Amazon (which oddly only supports Quick Charge 2.0) but it charges much faster when connected to the QC3.0 port. Battery capacity seems to be about right, as I was able to charge my iPhone 6’s 1810mAh battery 4-5 times on a single charge. 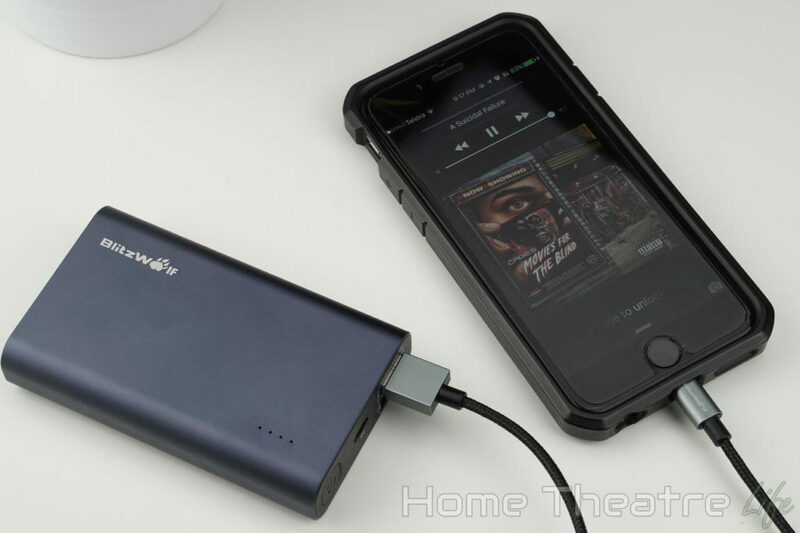 The Blitzwolf PW-P3 is excellent power bank with a couple of flaws. It’s frustrating that you need to press the power button to start charging and the fact the power bank itself can’t be quick charged is disappointing. That said, it’s well-built, offers a solid capacity and support for the latest Qualcomm Quick Charge standard so it’s got plenty to offer. 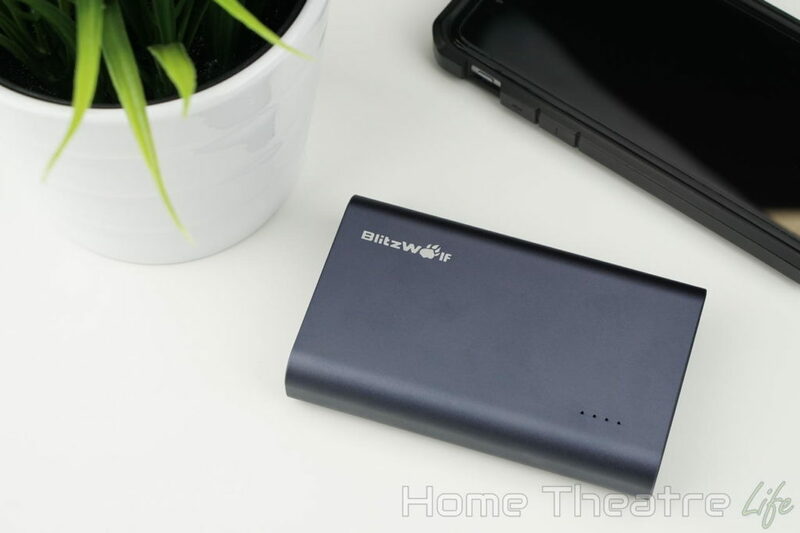 If you’re looking for a power bank and have a Quick Charge compatible device, the Blitzwolf BW-P3 power bank is worth a look. 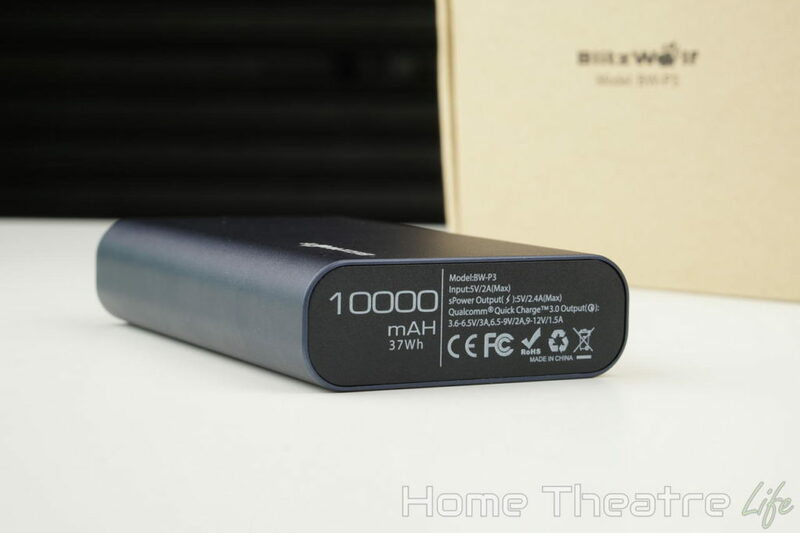 The Blitzwolf BW-P3 power bank is available from Banggood. 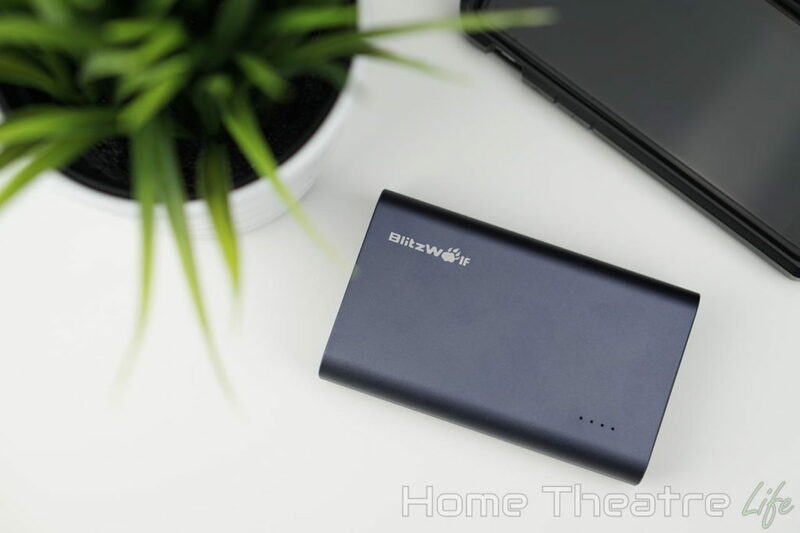 The Blitzwolf BW-P3 is a solid power bank from the company. 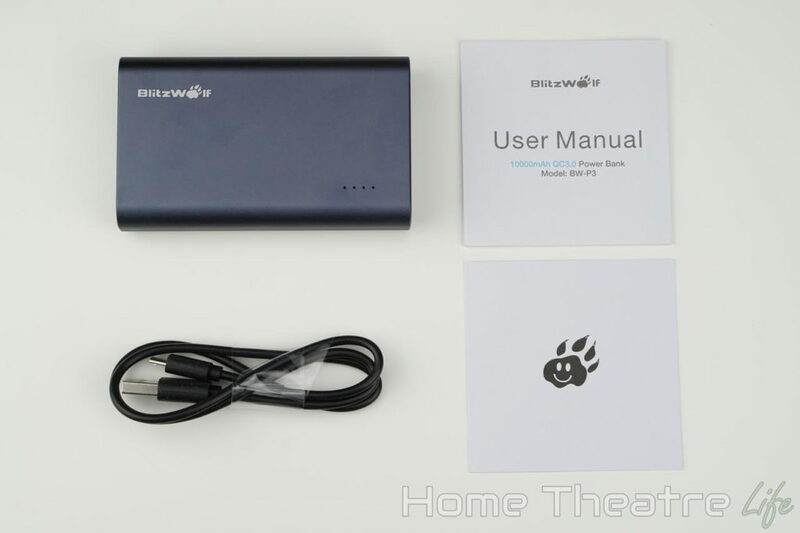 With Qualcomm QC3.0 support and top-notch build quality, the Blitzwolf BW-P3 is one of the best power banks around.